Create this gorgeous sparkling diamond picture by picking up the gem with the special tool and placing them on the pattern board. 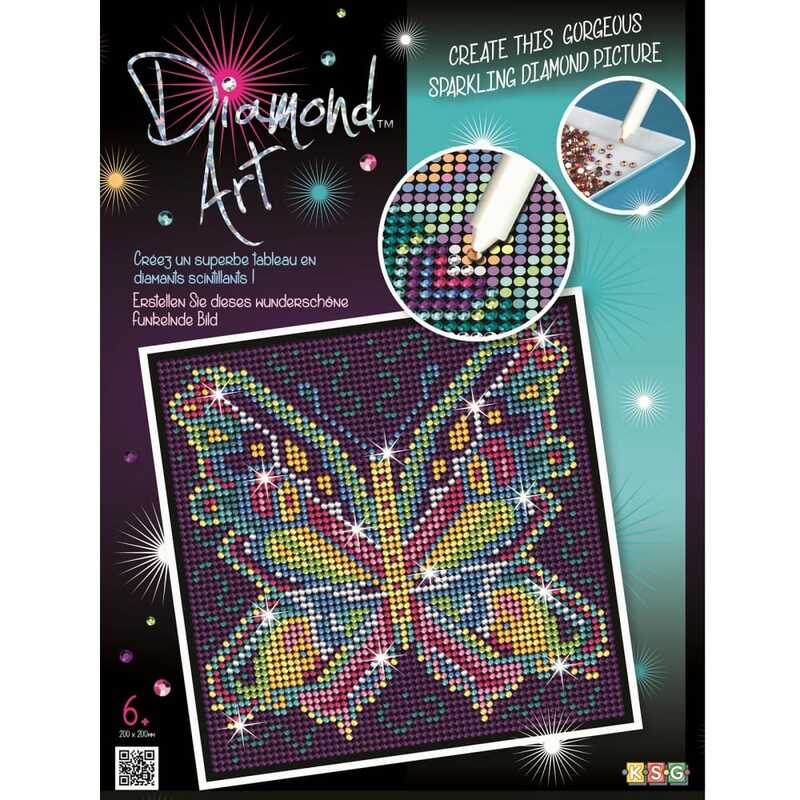 The Diamond Art kits make beautiful shimmering picture using sparkling gems, simply peel back the protective cover and place the gems on to the design using the sticky pencil. Contents: a self-adhesive picture, polystyrene base, gems, sticky clay pencil, plastic tray and instructions. Interesting technique, easy to make and looks great when finished.